Right next door to the El Capitan Theater in Los Angelas you’ll find the Disney Soda Fountain & Studio Store. One of the major events that fans look forward to are the new pin releases that draw a lot of people. 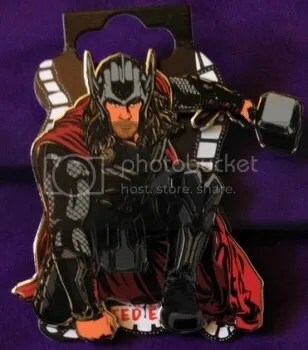 This pin, along with four others, were sold last year to celebrate the release of The Avengers. 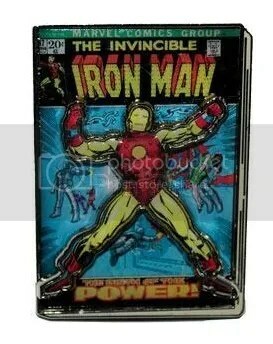 It is modeled after the 1968 #47 comic book and is limited to only 300 pins. They sell for $20.00 to $30.00. 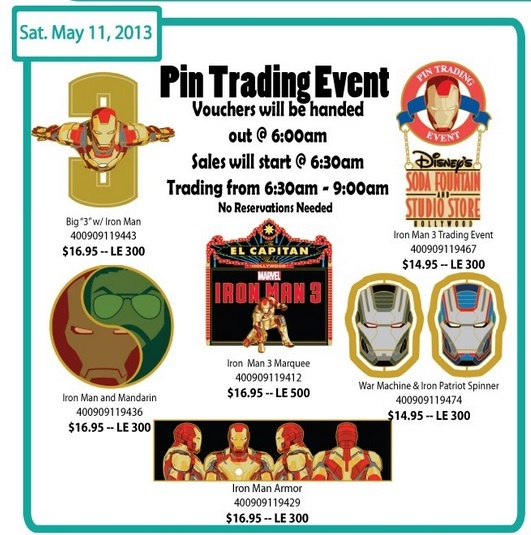 On May 11, 2013 the Disney Soda Fountain & Studio Store will be selling six different pins to commemorate Iron Man 3. This pin set has been pre-selling for crazy prices. The 2013 summer movie season has officially begun. Today I saw Iron Man 3 and really enjoyed it. You get to see Tony Stark battle a lot of demons after the events that took place during The Avengers. He has been building one type of armor after another while thinking of different situations that they could be used for. In the final battle we get to see all of these armors fighting together. 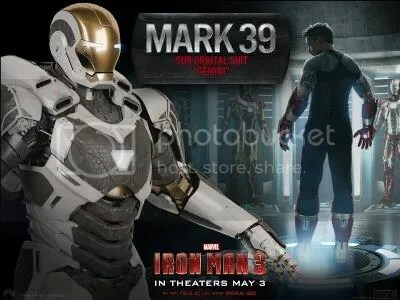 The Mark 39 Sub Orbital Suit “Gemini” is the only armor that I don’t remember actually seeing in the movie, yet they let us know it exists. It would also be the only one Stark didn’t destroy. Perhaps they’re saving it for when he goes to meet the Guardians of the Galaxy. I love these movies and I hope Robert Downey Jr comes back to play Tony Stark. I really can’t see anyone else playing that character.